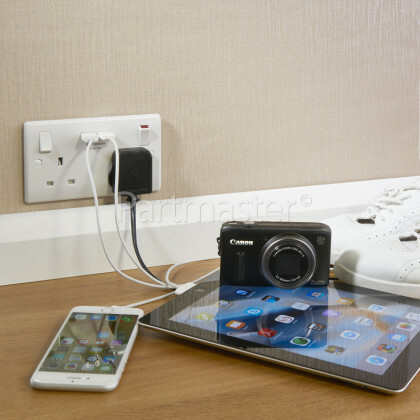 This 2 Gang Power Socket With 2A USB Charging Ports is ideal for charging your iPads, iPhones, tablets, mobiles, cameras and many more devices. 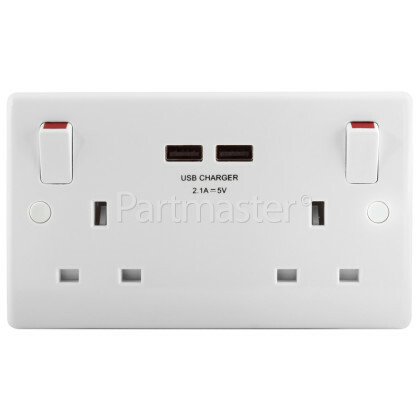 These twin sockets are great for replacing existing power sockets, but have the added advantage of having 2 USB charging ports for all your mobile devices. This socket will now allow you to charge your mobile devices or tablets, while keeping your plug sockets free for other devices or appliances. 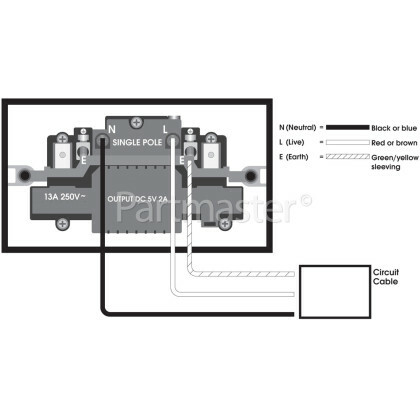 The socket fits any standard double backbox with a minimum depth of 25mm and is surge/spike protected, meaning it protects devices from damaging power spikes. If you’re running out of power sockets for all your devices, then this is the perfect solution.